Cook tortellini as directed on package. Drain; rinse with cold water until cool. Meanwhile, in medium bowl, mix tomatoes, onions and artichoke hearts. 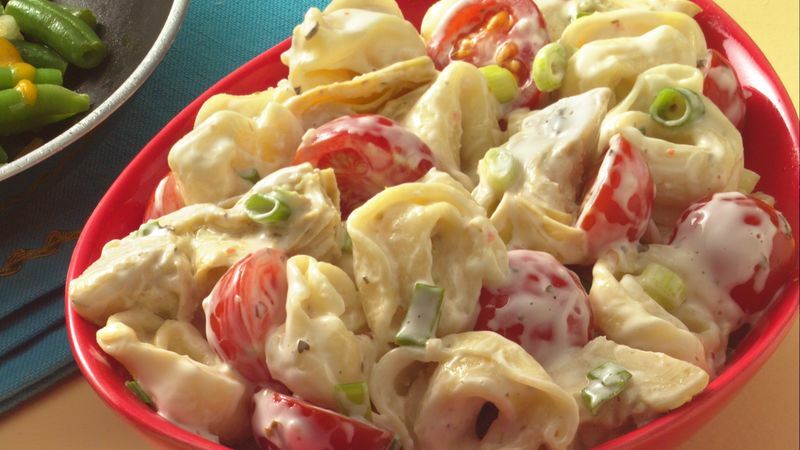 Add tortellini and dressing; toss gently to coat. Serve immediately. Be sure to purchase marinated artichoke hearts instead of plain ones. The marinade adds flavor to the salad.